Applications are now being accepted for 2019/20 Teens for Tomorrow MEMBERS. Apply now through May 31, 2019. Please note you will be required to create an account through our application system. The account will also allow you to apply for scholarships from the Community Foundation in the future! Can you be a philanthropist while you're still in high school? We think so. Teens for Tomorrow (T4T) is a youth philanthropy group for high school students from Rock Island County, Illinois and Scott County, Iowa. These young leaders become philanthropists by learning about community needs, developing a grant opportunity, evaluating applications, making site visits, and awarding grants. Each year, T4T awards a total of $10,000 to nonprofits meeting a variety of needs in the Quad City Area. T4T meets monthly from September to May to learn about community needs and how to become grantmakers. T4T Members develop leadership and communication skills, earn service hours, and get a unique opportunity to make a difference in their community. Liz loves having that chance, "Sometimes, when teens feel powerless, we don't take the issues in our own community seriously. Why should we try to help if we don't believe we can make a difference? With T4T, we suddenly assume the responsibility of making an impact." T4T gives many members their first taste of regional thinking, working cooperatively with their peers from other towns and schools. "The group is a great way to meet other teenagers all while doing something good for the community," says Tabi. "It just so happens that teens are the foundation of the future, which is why T4T is around to help us create a bigger, better, and more active community." Get social with us! Like our Facebook page, and follow us on Twitter and Instagram to keep up with T4T. Become a T4T member! If you are a high school student in Scott or Rock Island County who is passionate about making your community a better place, you can apply! New T4T members are selected by outgoing members and can serve for up to two years if they reapply for a second term. 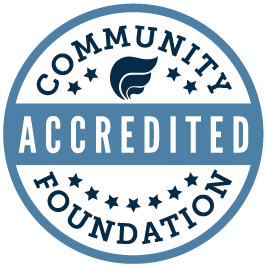 After that, T4T members can continue to use their skills and knowledge by joining grants committees of the Community Foundation. Apply now to join Teens for Tomorrow. Applications are due by May 31, 2019. Please note you will be required to create an account through our application system. The account will also allow you to apply for scholarships from the Community Foundation in the future! Are you a nonprofit looking to apply for a grant? Visit our Teens for Tomorrow Grant page to learn how you can apply for a grant from the students participating in this program.